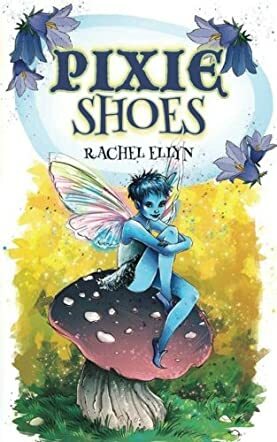 Pixie Shoes is a children’s short story written by Rachel Ellyn. What if you were a pixie who was new to an area, who didn’t know anybody, because you were in the new stages of life? This story is about Neesa, a young pixie who lived in an English glen. Neesa had experienced very little, and yet she understood everything she heard others talk about. Even with the little experience she had, she still knew more about a loving heart than anybody around her. While learning new things, Neesa discovered that although she was different from everybody else, her difference wasn’t a bad thing. If used right, she could change the world or at least somebody’s life. Knowing this fact, will she ever get others to see her for the awesome pixie that she really is? Or will she let hurt and anger make her the black sheep of the pixies? I thought Pixie Shoes by Rachel Ellyn was extremely cute. I enjoyed how the author had a solid story line at the beginning, which gave a strong background to build the events of the story on. The author kept the plot interesting, while giving each character a personality of their own. This book, like many great children’s books, has important lessons hidden its sentences. I thought the emotional fluctuations this book brought on me were powerful, especially since I could relate to the story. This drove it forever home in my heart. A must-read for youngsters.